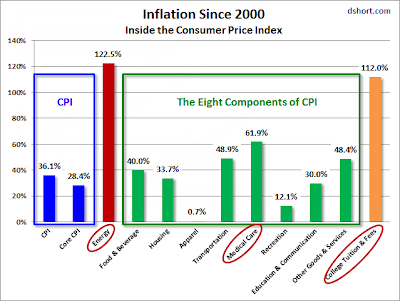 Mish's Global Economic Trend Analysis: What Role Does Government Play in Price Inflation? Various Charts Provide the Answer! 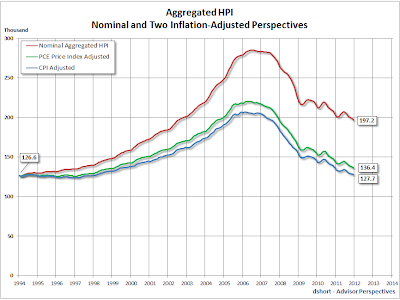 What Role Does Government Play in Price Inflation? Various Charts Provide the Answer! 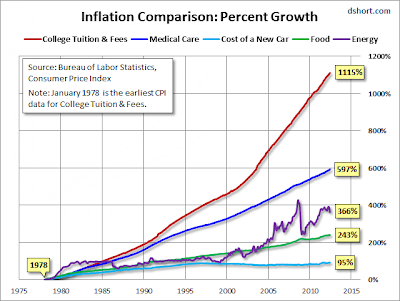 Let's take a look at inflation from the standpoint of prices. 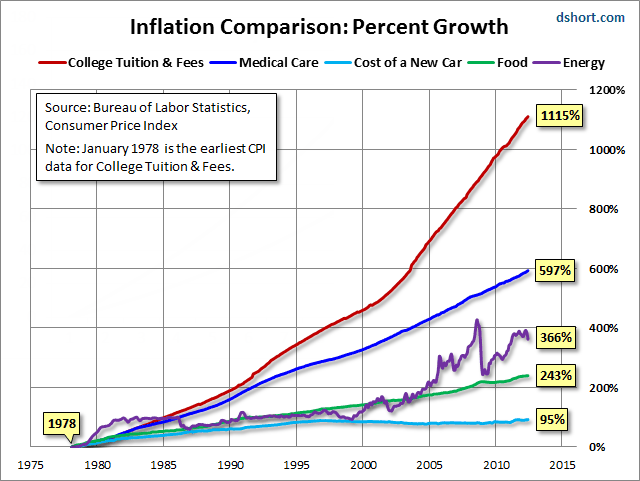 That viewpoint puts the cart before the horse (my definition of inflation pertains to an increase or decrease in money supply and credit, not an increase in prices). Nonetheless the results are significant. The reason I asked for a starting year of 1971 is that's when I started college. Education is rife with "no child left behind" madness, student loans, and free tuition for veterans. Moreover, the influence of public unions in raising taxes to support teachers and administrators (not the kids) is staggering. Medicare and Medicaid are behind soaring medical costs. Energy is up because of peak oil. It is also up because the US military is one of the largest consumers of petroleum products. Productivity improvements in food are nothing short of amazing. Had the drought we are experiencing now occurred 12 years ago, corn production would likely have been hammered in this heat wave. Nonetheless, government crop subsidies and preposterous ethanol regulations have pushed up the price of corn. In turn, corn prices filter through to cattle fattening operations, cereals, and high-fructose corn syrup which unfortunately is a product everywhere you look. 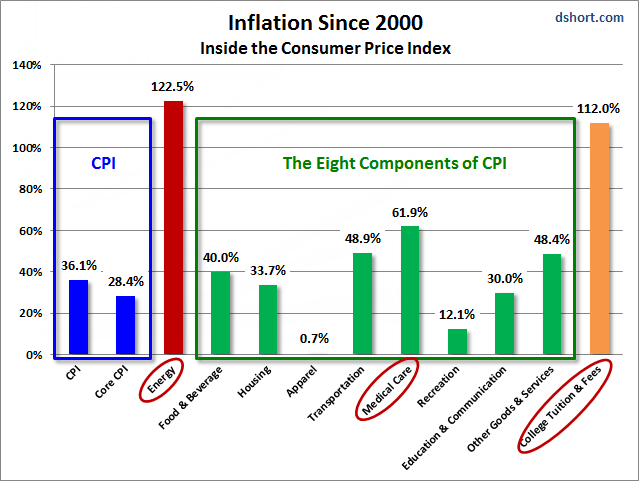 Note that in the eight components of the core CPI (second chart), that education and communication are listed together. The rationale for that grouping escapes me. Also note that the cost of a new car (first chart) since 1978 is the lowest in that grouping. Please reflect why: Other than safety regulations and mileage requirements, government interferes little in the auto segment (ignoring the recent GM bailout). 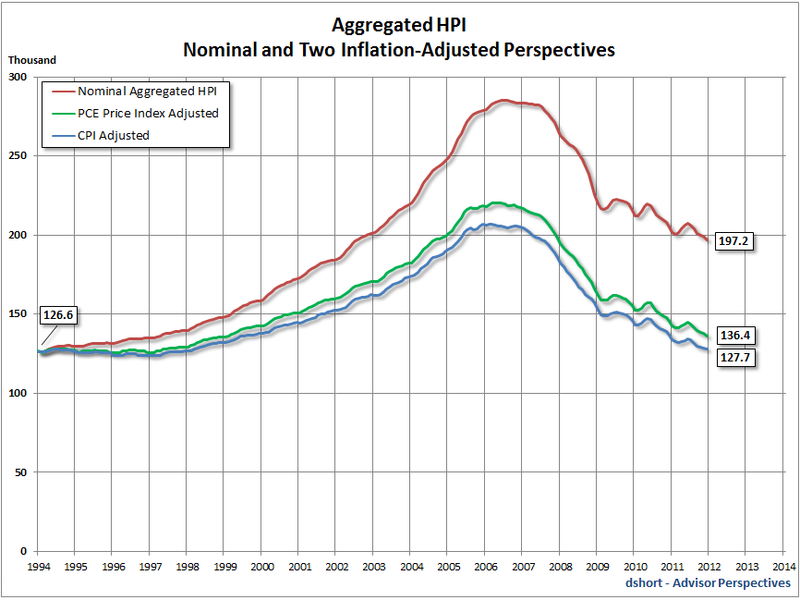 Car prices are of course hedonically adjusted. Then again, today's cars are far better than any car you could get in 1978. Housing costs (second chart) are reflective of Owners' Equivalent Rent, not actual housing prices, so that component does not reflect reality at all. In short, prices are up in areas with the most government interference and the least in areas of the least government interference (apparel, autos, recreation, communication). Home prices soared along with hundreds of government "affordable housing" initiatives. Well home prices are now affordable in many areas but Bernanke, banks, and government officials are extremely distressed over this unwelcome news. No one but consumers really wanted "affordable housing" they just wanted to claim they did. Heck, even consumers do not want affordable homes once they buy. Mitt Romney is not satisfied with low prices of autos or apparel. Nor is president Obama. Nor is the Fed. Romney has even declared he would label China a currency manipulator if elected. Romney desperately needs to study history, specifically the results of the Smoot-Hawley Tariff Act that compounded problems during the Great Depression. Consumers like and want low prices (with the exception of home prices after they buy). Who doesn't want a bargain? The answer is Romney, Obama, the Fed and unions. All of them want to rob you blind in misguided belief that high prices are better than low prices. It's a mad, mad, bureaucratic world where cheap, plentiful goods are considered a problem.